Let MRR reduce your stress, save you money and do it in an environmentally friendly way! 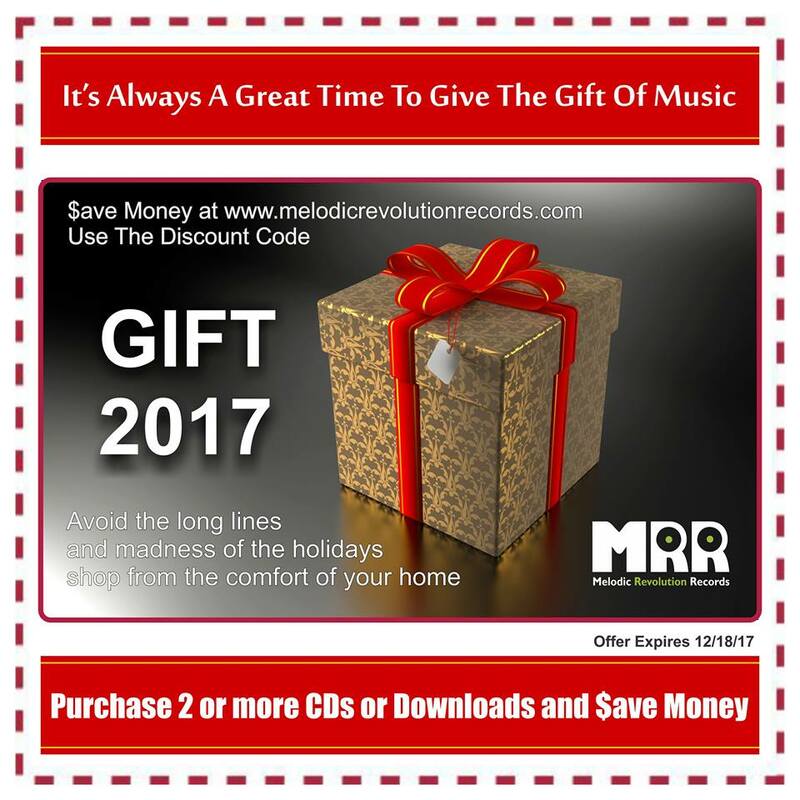 All you need is a computer, tablet or smartphone and your favorite beverage and you are ready for holiday shopping here at Melodic Revolution Records Bandcamp store! Yes, costs go up, and that is true of shipping, but we have a way to ease that pain. When you purchase music from MRR we charge a flat fee for shipping on one item (basically cost), combine purchases to one address and the per piece add-on is only $1-$2, saving you! Most all of our CD release comes with a free instant download of the same release, this means you can buy the CD as a gift and keep the download for yourself! For a limited time, we are also giving a discount when you purchase two or more items, by using the discount code gift2017. Plus as an added bonus you will also receive a free promotional CD sampler or promotional sampler download card while supplies last.